Halloween is one of my favorite holidays. So how exciting it was for me to witness the birth of my nephew, Logan, at 8:15pm last night–on Halloween! 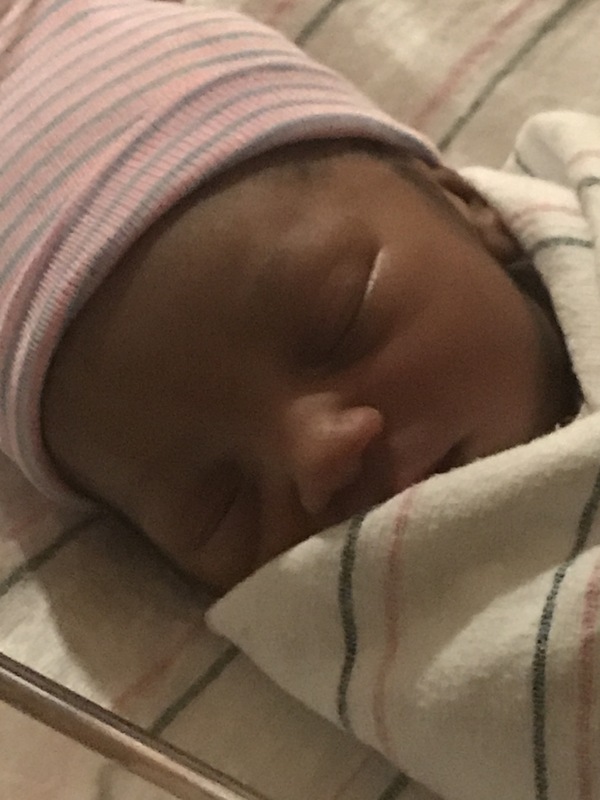 I cried tears of joy as I saw that head full of hair pop out and say “hello world”, all while my super strong sister focused on the most difficult assignment (and workout) she’s ever had—giving birth to this amazing baby! Mommy and Logan are doing great. Daddy is too! I was told I can share a picture so here’s the one I took soon after Logan made his debut last night. I can’t wait to make photo albums of his life’s journey, and all of the exciting milestones he will reach along the way!!!! The present is a gift and the future is bright. Let’s do this Logan. Auntie is right here!!!! Prev Post: Happy Birthday to Me!!!! Next Post: Thought of the Day: Stop Looking For The Short Cut And Just Put in The Work!